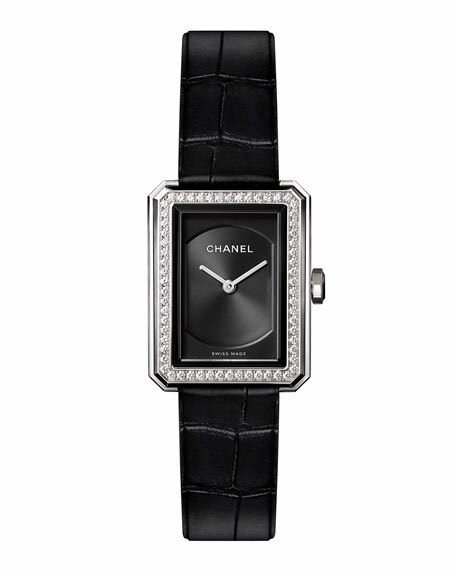 Steel bezel set with 62 brilliant-cut diamonds (0.37 carat weight). Steel crown and black spinel cabochon. Black alligator strap and steel ardillon buckle. Dimensions: 21.50 mm x 27.90 mm x 6.23 mm. For in-store inquiries, use sku #1787649.